All personal data held on FIND is managed by the Cerebra Centre for Neurodevelopmental Disorders. The director of the Cerebra Centre for Neurodevelopmental Disorders is Prof Chris Oliver, (find@contacts.bham.ac.uk). Please contact Chris Oliver regarding any data protection query that you may have. All personal information we hold related to FIND has been provided by Users directly, either because Users have contacted us directly to request further information about the content on the website, or because Users have registered to receive our newsletter or notification of when additional content will become available on the website. Some information may have been obtained via email, if Users have voluntarily sent emails to us. Users may, however, visit our Site anonymously. We will collect personal identification information from Users only if they voluntarily submit such information to us. Users can always refuse to supply personally identification information, except that it may prevent them from engaging in certain Site related activities. If Users have contacted us via email, we hold their personal contact information that they have provided at the time. Personal identifying information is used by members of the Cerebra Centre to respond to the enquiries made by Users. If Users have contacted the Cerebra Centre with an enquiry the Centre will hold your details until the enquiry is resolved or closed, after which Users data will be deleted, unless Users have requested that the Centre to hold their information on the Cerebra Centre’s Regular Participant Database. If Users have registered their interest to be contacted when additional content is added to the website the Cerebra Centre will hold Users personal contact data under the legal basis of “legitimate interest”. Occasionally, Users make requests for guidance from the Cerebra Centre team members who are qualified clinical psychologists. If further clinical support is offered, clinical notes may be retained in line with the guidance of the Department of Health. In this instance, Users will be asked to provide fully informed consent for these details to be retained before support is provided. To comply with the EU General Data Protection Regulations (GDPR), we must provide a legal justification for the information that we hold. If Users have registered an interest in being informed about new content that is released on the website, we hold your contact information under the justification of “legitimate interest”. It is in Users’ interests be informed of upcoming content on the website that may be of interest to them or be relevant to a person you support they support. If Users have requested further information from the Cerebra Centre we will hold your content details under the justification of “legitimate interest”. Users have made a request for advice from the Cerebra Centre and will need to be informed of the outcome of this request. After the request has been resolved we will delete Users information, unless Users have given informed consent for their details to be added to the Regular Participant Database held by the Cerebra Centre, or clinical notes are to be retained in accordance with Department of Health Guidelines. If you have contacted the Cerebra Centre, we hold Users contact information under the justification of “consent”. At the time of registration on the website, or making direct contact with the team, Users indicated that they would like to be contacted and gave us permission to hold their contact details. Users are able to revoke this consent at any time by contacting the Prof Chris Oliver at the Cerebra Centre (c.oliver@bham.ac.uk). If Users request to be added to our mailing list for updates about new content on FIND, or to be added to the Centre’s Regular Participant Database, the Centre will retain Users information for as long as Users are a member of these databases. 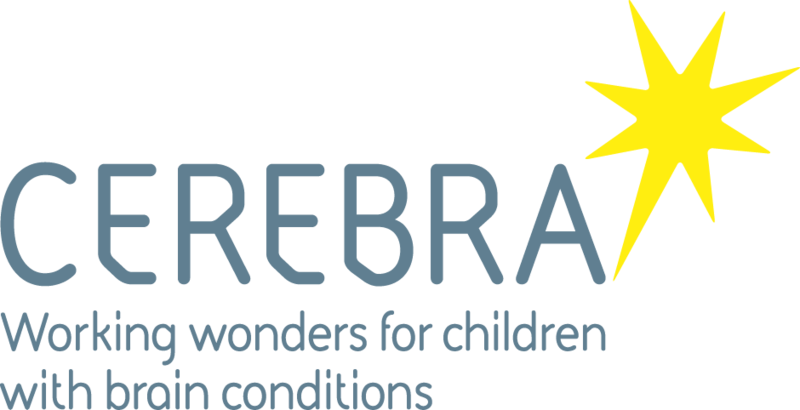 Users are a member of the database until they contact the Cerebra Centre to withdraw membership. Users may withdraw their consent at any time by contacting Chris Oliver at the Cerebra Centre for Neurodevelopmental Disorders (find@contacts.bham.ac.uk). We do not sell, trade, or rent Users’ personal identification information to others. We may share generic aggregated demographic information not linked to any personal identification information regarding visitors and users with our business partners, trusted affiliates and advertisers for the purposes outlined above. We may use third party service providers to help us operate our business and the Site or administer activities on our behalf, such as sending out newsletters or surveys. We may share your information with these third parties for those limited purposes provided that Users have given us permission. You have numerous rights under the GDPR act to control what happens to your personal information. To exercise any of these rights, please contact the Chris Oliver (find@contacts.bham.ac.uk). Please also contact either of these Administrators regarding any data protection query that you may have. If you wish to raise a complaint on how we have handled your personal data, you can contact our Data Protection Officer who will investigate the matter. Our Data Protection Officer is Mrs. Carolyn Pike OBE and you can contact them at legalservices@contacts.bham.ac.uk If you are not satisfied with our response or believe we are processing your personal data in a way that is not lawful you can complain to the Information Commissioner’s Office (ICO). This document was last updated on 30th June 2018.